Beyond Art Basel is the Museum’s premiere annual party, celebrating contemporary art during the Miami Art Week! We’re bringing the excitement of Miami up to Delray Beach with an artist meet-and-greet cocktail party! See live performance art,meet artists who are in South Florida for the art fairs, and see our Tech Effect exhibition! 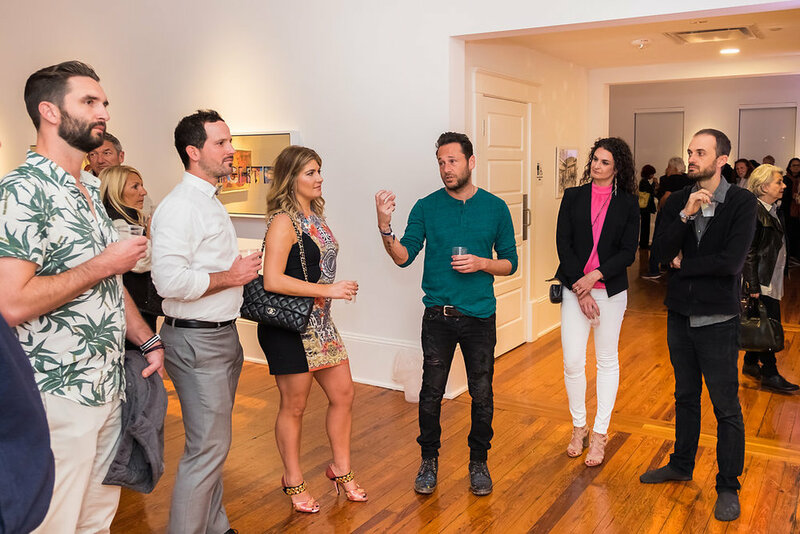 Artist Jeremy Penn (4th from left) describing his work to guests. Far right: Artist Brookhart Jonquil at the 2017 Beyond Art Basel party.